QK, originally Quad Knopf, has been helping clients build great communities and healthy environments for more than 40 years. Based in California and founded in 1972, QK was built on five distinct areas of expertise that work together to make the built environment possible. Their creative professionals specialize in engineering design and construction management, survey and GIS, urban design and landscape architecture, biology and environmental permitting and planning. In early 2017, the executives at QK realized that their strategic purpose, “one connected team, working in partnership, to make the built environment possible” is just words unless a team coalesces to understand why this is so important. With multiple offices and disciplines, they felt their staff needed to be more connected. They were not hitting profit margin targets, as well as other related key metrics such as utilization and win rates. Their project managers lacked important business skills to be able to maximize project profitability, and they were losing money to scope creep, project budget overruns and write-offs. Additionally, they discovered they were losing money on their highest grossing client. The management team at QK took time to reflect and ask themselves what specifically they could do in 2017 to make a huge impact on their profits and develop their staff. After reading June Jewell’s book, Find the Lost Dollars, and researching how to implement its recommended best practices, they evaluated the Find the Lost Dollars Business Management Assessment and Group Training program. They selected the Find the Lost Dollars program as part of a commitment to educate the entire QK staff towards a common goal and language, that would deeply infiltrate their culture and produce short and long term increases in profits and enable growth. In March of 2017, the leaders at QK surveyed their staff with the Find the Lost Dollars Business Management Assessment. They intended for this anonymous assessment to provide some key insights into areas of the business to focus on for improvements, as well as provide new ideas and feedback from staff to guide their strategy and business decisions. The results of the assessment showed them that while they were ahead of the A&E industry in some areas, they had gaps in several of the nine areas surveyed. Getting recommendations for improvement in their processes, systems and development of their people was a necessity. 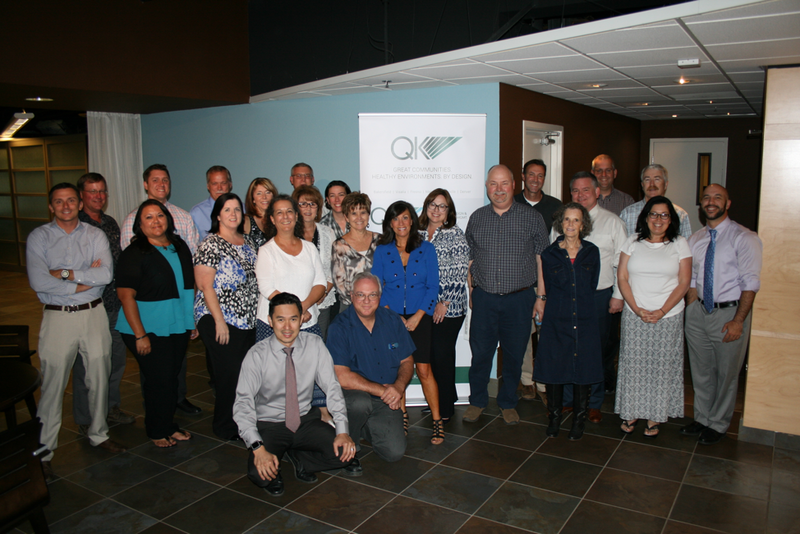 With over 100 employees and multiple offices, QK knew it would be daunting to roll the training out all at once. They took advice from their AEC advisors, as well as previous Find the Lost Dollars participant firms, and decided to break the program implementation into three groups, so each group could build off the success of the prior group and essentially become ambassadors themselves. The first group the firm chose to put through the training were the project managers. They expected to see the most change and get the most ROI from this group since project managers are the epicenter of the business, touching clients, team members, administration, and management. They knew that they would see the most change and ability to impact others from this group, because where a project manager goes, so goes the projects, and ultimately, the business success of QK. The Find the Lost Dollars Program is made up of ten one-hour online courses. Each course is paired each week or every other week with a group meeting to discuss and apply the content of the course to their firm, projects and clients. QK chose to spread the courses over 20 weeks rather than the standard 10 weeks that many Find the Lost Dollars clients choose. This was decided because of their incredibly busy schedules at the time. Based on the familiarity gained during the first two groups, QK elected to spread the third group over 10 weeks. Both schedules proved to be a successful approach. The first group began the program in March 2017 and finished in October 2017, wrapping up with an all-day session to evaluate where they could make the most difference in their firm administration, marketing, business development and sales, and project management practices that would result in both better service to their clients and a better project profit margin for the company. Based on the results and feedback from the Business Management Assessment, as well as suggestions and ideas provided by the group participants during their bi-weekly meetings, QK compiled a list of potential business improvements needed to increase financial results. During the Find the Lost Dollars Wrap-up Meeting, they prioritized their top initiatives, and gained consensus from the group for moving forward with the most impactful key strategies. They also challenged each of their PMs in the group to document the behavior changes they had been making and calculate the “Lost Dollars” they had each found. During their Find the Lost Dollars wrap-up meeting in October, 2017, the team decided on several key actions that they agreed would have the greatest financial impact on QK’s profits and service to their clients. As a result of the program, QK was able to quickly recognize significant changes in thinking and behavior on the part of their project managers, which attributed to a substantial turnaround in project performance. They also found that their PMs were more engaged in managing their projects, and less resistant to using their systems and following project management practices. They gained a new understanding of financial and business best practices that enabled them to participate in the design and implementation of the new initiatives. Their PMs started acting in a way that showed that they valued the discipline of project management versus only their technical work, and this allowed QK to start to realize their profit potential and set their sights for continued improvement with this understanding as core to improving their performance over time. Significant improvements to their business practices included changing the way their project budgets were prepared, and a straightforward and non-disruptive method that allowed them to make a number of quantifiable corrections to address scope creep. They realized a paradigm shift that allowed them to improve service to their clients and to increase their profit margin by focusing on developing clear scopes and communicating better with their clients, as well as establishing a painless mechanism to prepare for inevitable changes during the course of projects. The course also helped the project managers to become more comfortable asking for contract amendments for extra services when necessary, and improved QK’s overall communication with their clients before, during and after project kickoff. They acknowledged that not all clients are good clients, and just because a client may be a high revenue producer, that doesn’t mean they are a solid client and in some cases, it is best to end the relationship. The program also encouraged better timesheet practices, and changes in project management practices that reduced Work in Progress (WIP) write offs, resulting in many lost dollars found by increasing billable revenue. While the individual actions taken by the team members are impressive in themselves, the breakthrough results of an actual culture evolution only occurred when the thinking that drove the actions changed. Producing culture change required a mindset shift in the fundamental way people think. The lessons discussed challenged each employee to look beyond the textbook and to think like an owner. This allowed them to begin to realize their potential and open new horizons for QK as a whole. The changes that stemmed from the program and implemented by QK resulted in the firm doubling their profit from 2016 to 2017 realizing an over 4% of revenue increase in net profits.. They have continued to put more PMs, technical, and administrative staff through the program and expect to complete their third and final group in early 2019. 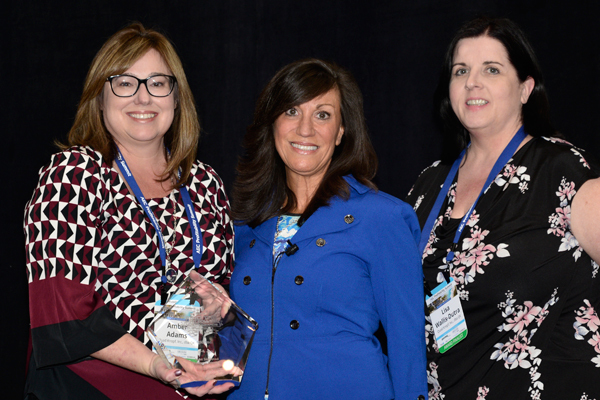 QK was able to celebrate their success at the 2018 AEC Profitability Summit where they won two Find the Lost Dollars Client Awards. They were recognized as the Firm that had the Most Improvement in Business Management Practices as a result of completing the Find the Lost Dollars™ Training Program, and one of their Sr. Engineers, Lisa Wallis-Dutra won the Individual Award for Most Dollars Found. This was quite an accomplishment in such a short amount of time, and goes to the commitment and execution of the QK leadership and group participants as they continue to implement new business management best practices based on their experience and inspiration from the Find the Lost Dollars Training Program. QK is committed to continuous improvement, and overcoming the culture traps and commoditization of the engineering industry. With new perspective about how to compete, run the business and focus on value for clients, QK has an exciting future with high expectations for growth and financial success.